When it comes to how you like to dress up a hot-dog or hamburger, your options go beyond mayonnaise and mustard. Different condiments have different health benefits and dangers. Homemade hummus is a great condiment to use for your grill productions! It’s easy to make, too. All you need is chickpeas, lemon, tahini, and garlic. Beyond that, throw in whatever you want (maybe a dash of cayenne or roasted jalapenos?). Check out these 9 homemade hummus recipes for ideas. Admit it, you had to see this one coming. Most ketchups you buy at the grocery are packed with high fructose corn syrup. In case you still aren’t convinced that HFCS is bad for you, you need to read this post. Mayonnaise is another easy target. Its health pros and cons have been debated for years (get a summary from the Food Network). Look for alternatives such as Grapeseed Veganaise or make your own. However, the best move is to avoid it altogether. Unfortunately, most salad dressings (both creamy ones and vinaigrettes) tend to be swimming in fat. For some delicious fat-free, oil-free salad dressings, see this database. This is another condiment that you already know to have negative health consequences. Take our recommendation above and opt for guacamole or pesto instead of queso. Both options are healthier ways to get your creamy fix. Though real honey does contain healthy antioxidants that are good for you, a lot of brands sell fake ones. If you want to use it, make sure it’s the real thing. Otherwise it might just be loaded with high fructose corn syrup or artificial sweeteners! Care to add to the conversation? We’d love for you to share! 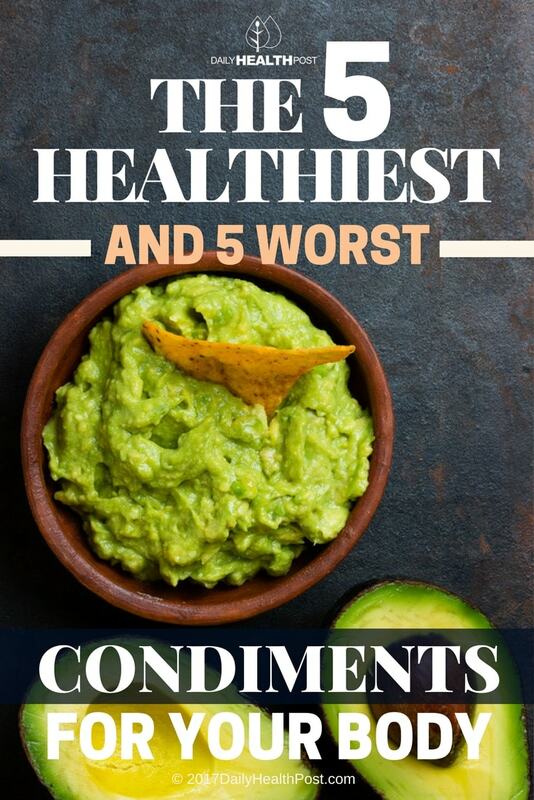 What condiments do you avoid? Did we miss any healthy options?